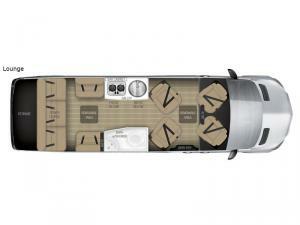 You will find everything that you need inside this Special Edition Tommy Bahama Relax Edition touring coach by Airstream. This class B diesel Interstate Lounge model will provide you with the feel of an island getaway no matter where you end up. The breezy interior decor and accessories will make you feel like you have just found paradise. Step inside to find a comfortable space to gather with four captain chairs. The driver and passenger seats swivel around to become part of the living space in back. There is a removable table that can be placed in the center when needed making this a great place to enjoy with family and friends. There is also an LED TV up front as well for your enjoyment. The wet bath with shower makes cleaning up a breeze as well as saving space throughout the motor home. 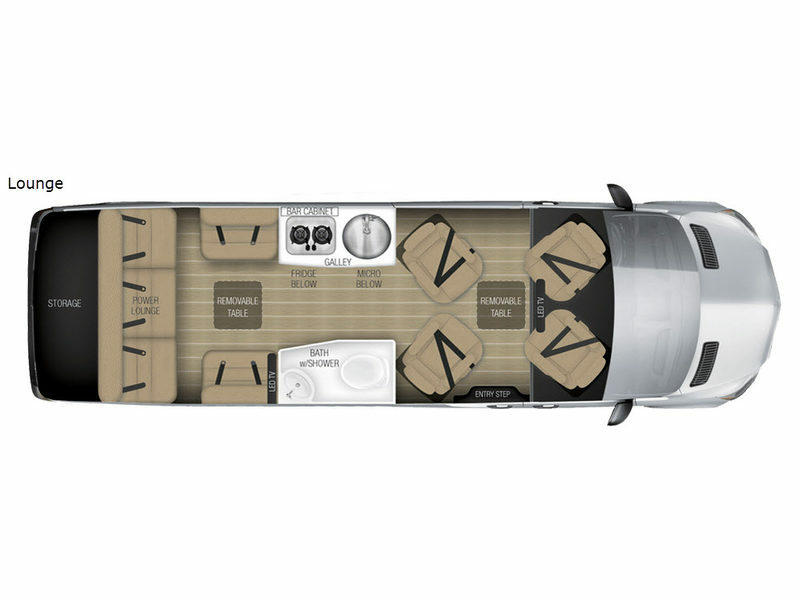 In any Special Edition Tommy Bahama Interstate Relax Edition touring coach class B diesel by Airstream, you will find refined relaxation as the major focus. You will love the look and feel on the inside, and enjoy every relaxing ride getting there. You will also enjoy its construction features such as the rear and side camera assist, grill hook-up, multiple safety air bags, Alcoa® DuraBright Wheels, and heated windshield. The interior features such as a 8" Touch Screen NAV/SAT Radio/DVD System, a Blu-Ray player, a Corina® Galley flip-up shelf, and LED lighting. So, come on board this Mercedes-Benz Sprinter turbo diesel touring coach and let this Tommy Bahama coach redefine relaxation for you and your guest.